A prison in Lancashire is struggling to meet the needs of some of its inmates, a report by Her Majesty's Chief Inspector of Prisons has said. Although HMP Garth in Leyland remained an "essentially safe" prison, it still faced a number of challenges. An inspection found that the number of prisoners without a determined release date had increased, which had brought extra demands on staff and resources. 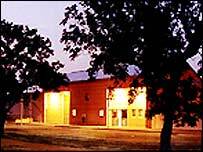 The report followed an unannounced inspection of the prison in March 2007. HMP Garth has become the North West's centre for prisoners serving indeterminate sentences for public protection. It is a category B training prison housing over 600 serious offenders. Her Majesty's Chief Inspector of Prisons, Anne Owers, said: "Managers and staff are to be commended for the continued progress at Garth since our last inspection. "The prison manages its population of serious offenders well, ensuring an essentially safe, respectful prison, with an increased focus on resettlement." The inspector said the main problem was the arrival of a large number of prisoners who did not have a set release date. But she said she felt with appropriate resources and attention HMP Garth could "rise to the challenge". Phil Wheatley, director general of the Prison Service, said: "I am aware of the pressures staff come under whilst dealing with prisoners serving indeterminate public protection sentences. "However they continue to ensure that they are prioritised and are working with offenders to complete their required programmes." The inspection also found there were issues with overcrowded accommodation and more work was needed on race relations.